Did Flick Drummond know a General Election was coming? Here at TBG Towers we couldn't help but notice that the Portsmouth South MP was readopted as Tory candidate just days before Theresa May called the snap poll. So, was it just a coincidence or was our Flick in the know? Drummond wasted no time in backing Theresa May for the Tory leadership shortly after the country voted for Brexit. 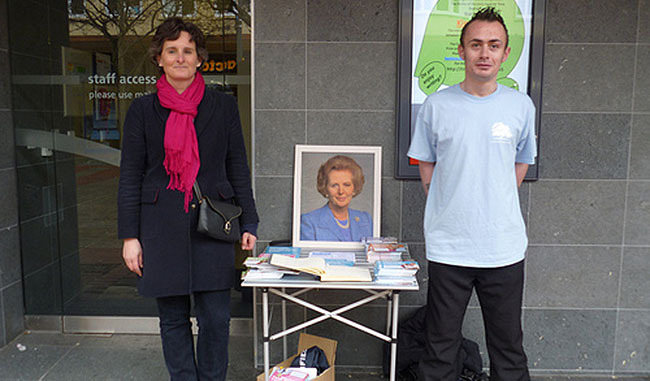 May also campaigned for Drummond in both 2010 and 2015. The Portsmouth South MP is also close friends with the Prime Minister's P.P.S. George Hollingbury who represents nearby Meon Valley. However, when approached by TBG Drummond denied all knowledge of the election announcement, saying: "For the record, I had not an inkling about the General Election. It was a massive surprise but I am looking forward to getting out there and talking to people about what I have done and my plan for Portsmouth." Despite her reselection Drummond has one problem left to deal with namely what to do about her Ukip opponents in Portsmouth South. With rumours rife that Ukip will not be fielding a candidate in Portsmouth North because of Penny Mordaunt's eurosceptic credentials the same cannot be said for Portsmouth South where Drummond was a regular figure for the Remain camp in Southsea. Whatever the case, you have to take your hat off to Flick for standing by her principles.